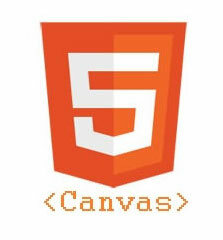 The canvas element is part of HTML5 and allows for dynamic, scriptable rendering of 2D shapes and bitmap images. In this example I’m going to show you how to animate a single bouncing ball on a web page using the canvas tag. As you can see we will start our animation calling the init function when the html body has been loaded, the init function will retrieve the DOM node for the canvas, then it will get the drawing context using getContext() method. first of all we will clear the context, so each time we’ll draw the ball on a white canvas.